It seems simple at first to say that if you have a food allergy you should just avoid that food and you will be fine. But it isn't simple when it comes to a soy allergy. There are many forms of soy found in our food and it can be difficult to navigate when it comes to reading food labels and dining out. As a soy allergy is one of the most common food allergies, it is important that to understand how much of it we are exposed to in daily life. Soy is found in many different products, including processed foods. It's in your diet, whether you know it or not. Especially if you opt for a vegetarian lifestyle, chances are you consume a large amount of soy. Asian cuisines use a lot of soy ingredients, but it can be found pretty much in any restaurant. The very omnipresence of soy in the foods we eat, both processed and non-processed, means that we have be extra-vigilant to prevent accidental exposure. According to the World Health Organization (WHO), soy is among the eight most common food allergens in children and adults. All told, around 1.1. percent of the world's population is believed affected, including the United States. The Food Allergen Labeling & Consumer Protection Act (FALCPA) requires manufacturers to list soy ingredients on product labels in plain, easy-to-understand language. 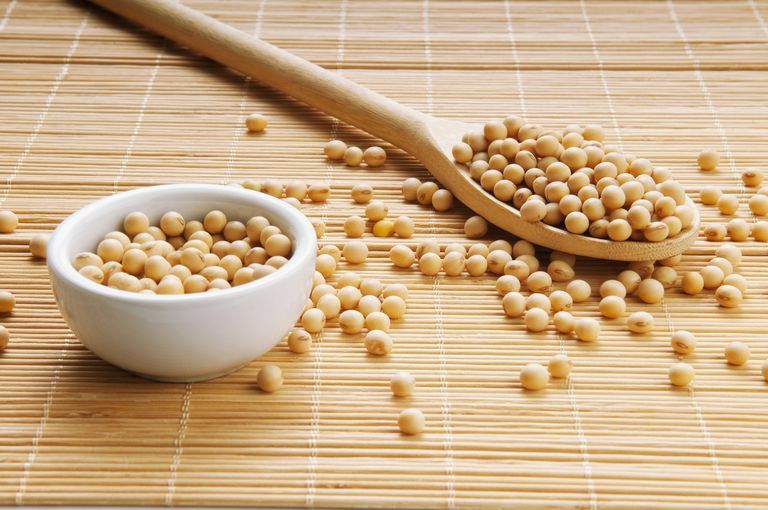 However, the FALCPA does not require a manufacturer whose product contains refined soy oil and/or soy lecithin as a releasing agent to mention “contains soy” on their label. This is contradictory to the research that shows that soy proteins are present in soybean oil and soy lecithin. This caveat may be due to the fact that studies are not conclusive that there is enough soy protein in these ingredients to cause a reaction in most people with soy allergies. As some people are more sensitive to soy than others, this can be problematic and result in an allergic reaction. Also, the FALCPA guidelines do not apply to "raw agricultural commodities" such as fruits and vegetables in their natural state. It also does not cover eggs, milk, or meat, or other foods regulated by the USDA. This is yet another place where soy ingredients may actually be present. It may be used in waxes or horticultural oils on fruits or found in raw or frozen chicken that's processed into chicken broth. This can put those with a soy allergy at risk for an allergic reaction despite believing they read the labels and were informed. Some manufacturers include statements on a food label that may indicate cross-contamination with soy. These statements might read “may contain soy,” “produced on shared equipment with soy,” or “produced in a facility that also processes soy.” In general, these warnings are voluntary. On the other hand, some manufacturers may not include this information, even if there is soy present in their facility. Soy is a common ingredient in many Asian cuisines but may be difficult to recognize on a menu. It is important to know that the following items contain soy and should be avoided if you have a soy allergy. You might be surprised to learn that a number of common foods often contain some form of soy. It is important to be extra cautious about eating these if you are unable to get a complete ingredient list. Be aware of hidden sources of soy that may be in your medicine cabinet, shower caddy, or around the house. Soy can be found in things like lip balm and cosmetics. A careful review of these products can help you avoid an unexpected reaction. Some people with peanut allergies may also be allergic to soy protein. People with soy allergies may cross-react with peanuts or other legumes, such as beans or peas. While a soy allergy tends to be less severe than other food allergens, cross-reactivity to peanuts can increase the severity. In fact, a small number of fatal reactions to soy have been reported in people with severe peanut allergies and asthma. With that being said. most people with soy allergy can safely tolerate other legumes because the legume family has over 30 species. If you suspect an allergy to another legume, you should investigate this legume separately to determine if you have sensitivity. Don’t assume you are allergic to the broad category of beans and legumes just because you have a soy or peanut allergy—you will unnecessarily restrict your diet, which could cause nutritional deficiencies down the road. Soy protein may cause a digestive disorder in childhood called food-protein-induced enterocolitis syndrome (FPIES). Infants can get a similar set of symptoms from cow’s milk protein, known as cow’s milk protein-induced enterocolitis. Between 10 percent and 14 percent of babies who are allergic to cow’s milk will develop a reaction when given a soy-based infant formula, according to the American Academy of Pediatric (AAP) Committee on Nutrition. Based on these findings, the AAP submitted new guidelines in 2008: For infants with a cow’s milk allergy, an extensively hydrolyzed (the protein is chemically broken down) cow’s milk protein formula should be considered instead of soy formula. Milk and eggs: Lacto-ovo-vegetarians and use these as a rich source of protein and vitamin B-12, which isn't found in plant protein sources. The caveat is that milk and eggs are often also allergens and some people will be sensitive to them as well as soy. Beans: One cup of cooked black beans provides 15 grams of protein. You can enjoy many varieties of this inexpensive source of protein, iron, folate, and magnesium. Nuts: Nuts are common allergens and so they can't be enjoyed by everyone. However, they are rich in protein and nutrients such as vitamin E and phosphorus. You can also find nut butters and nut flour. Seitan: This is made from wheat flour gluten and is often used as a vegetarian meat substitute. You will have to check to ensure it isn't adulterated with added soy. You can make your own seitan from vital wheat gluten at home. Whole wheat: Look for whole grain products rather than refined. You can enjoy 7.5 grams of protein in one cup of whole wheat pasta and 3 grams in one ounce of whole wheat bread with wheat berries. Whole wheat is a great source of fiber, selenium, and manganese. Quinoa: This ancient Incan grain is nutritionally complete. One cup of quinoa has 23 grams of protein and it is high in fiber, magnesium, and phosphorus. Flaxseed: Ground flaxseed is an easy way to add protein and fiber to a smoothie, and you can bake it into baked goods. Oat bran: The bran is removed from processed instant oats, but you can add it back in for a protein boost or use it in baked goods. It can be challenging to completely remove soy from your diet as it is present in many processed foods. You must become a sleuth at reading food labels, and you will need to take precautions when dining away from home. Bhatia, J.; Greer, F.; and American Academy of Pediatrics Committee on Nutrition. Use of soy protein-based formulas in infant feeding. Pediatrics. 2008;121(5):1062-8. DOI: 10.1542/peds.2008-0564. Cordle, C. Soy Protein Allergy: Incidence and Relative Severity. The Journal of Nutrition. 2004:34(5):1213S-1219S. DOI: 10.1093/jn/134.5.1213S. Joneja JV. The Health Professional's Guide to Food Allergies and Intolerances. Academy of Nutrition and Dietetics; 2013. Sicherer SH, Acebal ML, Sampson HA. Food Allergies: a Complete Guide for Eating When Your Life Depends on It. Baltimore: Johns Hopkins University Press; 2013. World Health Organization (WHO). (2008) Overview of the Current Approach to Determine the Allergenicity of Genetically Modified Foods. Geneva, Switzerland: WHO; issued January 3, 2006.